With this week's release of "Spider-Man: Homecoming" and his return to the MCU, we look at the 15-year cinematic evolution of the web-slinger and his villains, from Green Goblin and Doc Ock to Vulture. 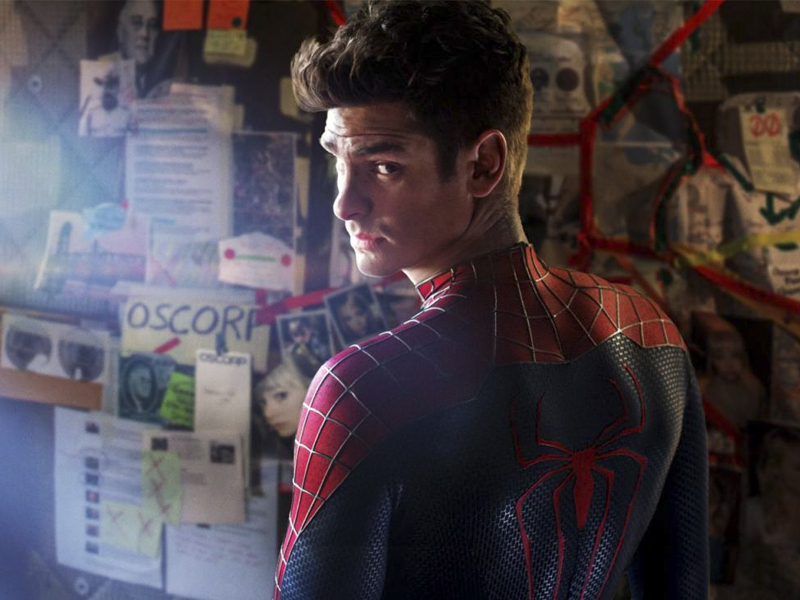 From the sensitive Tobey Maguire to the nerdy Andrew Garfield to the clumsy Tom Holland, Peter Parker/Spider-Man has evolved into the ultimate teenage, superhero misfit. 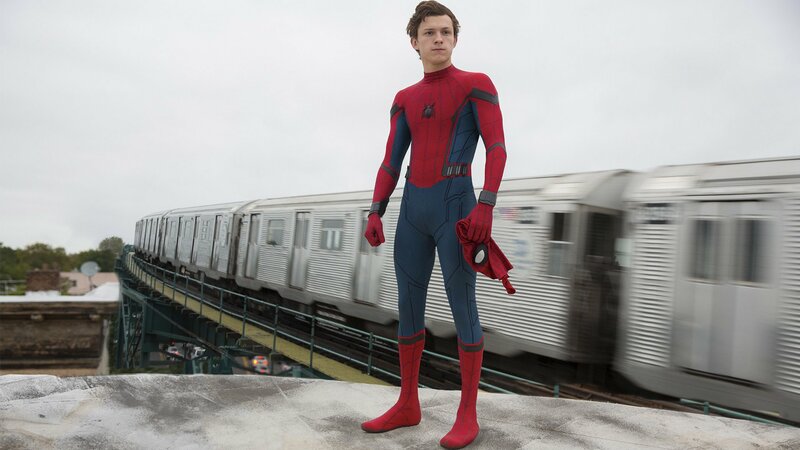 And, as Sony’s top franchise, the web-slinger has experienced different rites of passage under the direction of Sam Raimi (“Spider-Man,” “Spider-Man 2,” “Spider-Man 3”), Marc Webb (“The Amazing Spider-Man,” “The Amazing Spider-Man 2”), and Jon Watts (“Spider-Man Homecoming”). But until Sony made a deal in 2015 to share the Spider-Man movie rights with Disney and Marvel Studios, the Marvel Comics superhero remained separate from the MCU. That changed with the decidedly younger Holland making a guest appearance as Parker/Spidey in “Captain America: Civil War” (2016). Following his first solo stint in “Homecoming” (July 7th), Holland will appear in “Avengers: Infinity War” (May 4, 2018), followed by the sequel, “Homecoming 2” (2019). 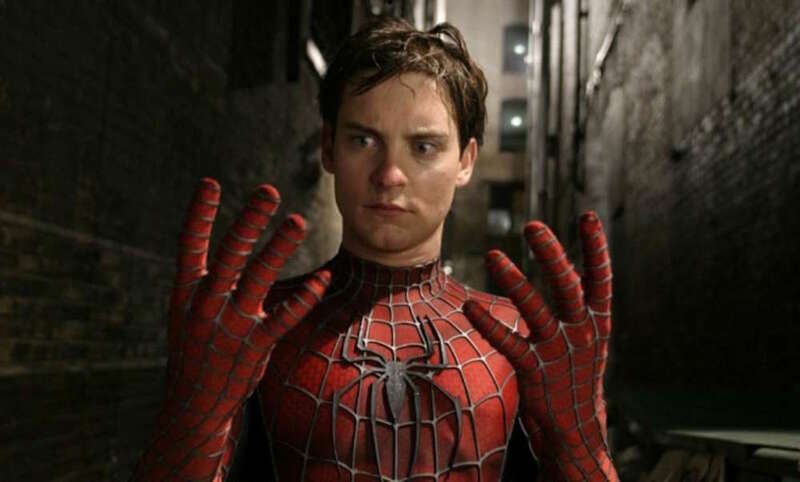 Raimi humanized the Peter Parker/Spider-Man struggle, turning Maguire into a star and the property into the most successful comic book movie adaptation (topping $821 million worldwide). And the orphaned high schooler’s unrequited love for Mary Jane Watson (Kirsten Dunst), who fell for Spider-Man, made him even more relatable. The Spidey super-villains often serve as doppelgangers and father figures to Parker, which is why Raimi was drawn to Green Goblin/Norman Osborn (Willem Dafoe). He’s the father of Parker’s best friend Harry Osborn (James Franco). But after an experiment gone bad with a strength-enhancing drug, he terrorizes New York and becomes Spidey’s first nemesis. As Parker’s powers grew, he became a stronger superhero, but it detracted from his normal life and put his loved ones in danger. The challenge was finding a balance between Parker and Spidey, much like Clark Kent/Superman. 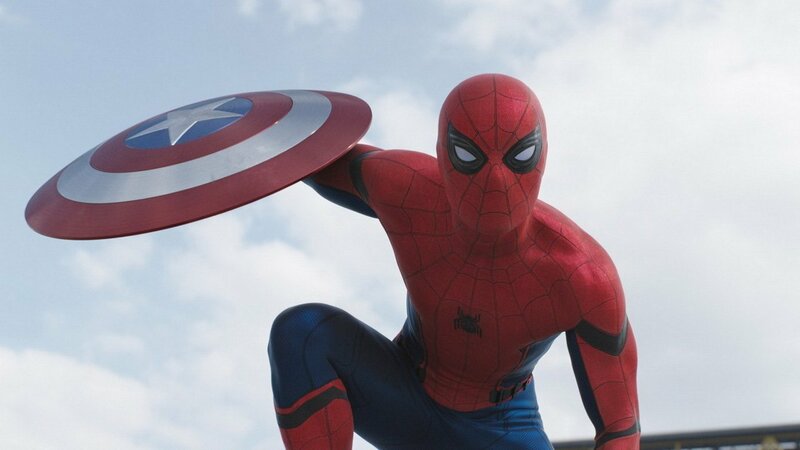 The Spidey suit was enhanced with bolder colors and a larger emblem, and the body suit was made in pieces to provide greater movement. But the important lesson for Raimi was removing the mask whenever possible to make him more human and empathetic. Doc Ock (Alfred Molina), the next supervillain, with four mechanical tentacles fused to his spine, elevated megalomania even further with his terrorist threats. Meanwhile, Sony Pictures Imageworks won the VFX Oscar for its stellar digital doubles, cloth simulation, and virtual New York skyscapes. The production also benefited from full use of the Spydercam camera system, allowing them to express more of Spidey’s point of view. The stakes were raised to compete with other franchises with three supervillains: New Goblin (Franco), Venom (Topher Grace), an extraterrestrial that assimilates Parker’s suit and turns it black, and the shape-shifting Sandman (Thomas Haden Church), who brings out the venom in Parker. That’s because Sandman’s true identity, robber Flint Marko, was responsible for the death of Parker’s beloved uncle Ben (Cliff Robertson). Sony’s VFX also grew more demanding, requiring complex simulation advancements for both Venom and Sandman. There was also the addition of another love interest, Gwen Stacy (Bryce Dallas Howard). It proved a difficult juggling act, even though it became the biggest box office grosser of the trilogy ($890 million). However, there were creative differences with the follow-up story, thus ending the tenure with Raimi and Maguire. In the reboot, Garfield’s Parker was like Anthony Perkins on steroids: inarticulate and simmering with rage, but defusing it with snark. Director Webb was fascinated by the theme of regeneration and went back to the comics for a redesign, including the use of artificial web-shooters. The costume, too, looked different in making the body longer and more like an acrobat. There was darker webbing and the symbol consisted of spider legs. The supervillain this time was The Lizard/Curt Conors (Rhys Ifans), a mutation of his father’s former science partner at Oscorp. The high school romance with Gwen Stacy (Emma Stone) became more complicated with her father turning out to be New York Captain George Stacy (Denis Leary), so Parker reveals his secret identity to her. After graduating high school, Parker became a committed vigilante, which complicated his relationship with Gwen Stacy (Emma Stone). 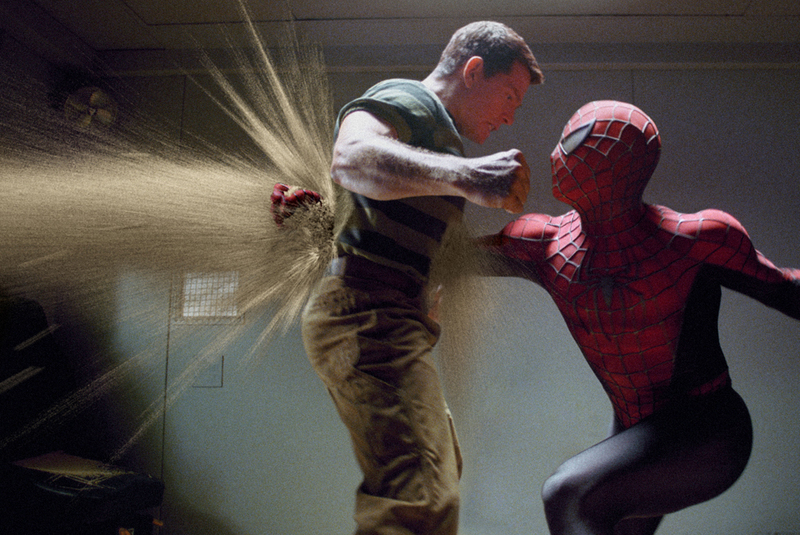 A new threat to New York emerged with Electro (Jamie Foxx), a lab assistant and Spidey fanboy, who suffered a supernatural mishap and mutated into a living electric generator. Secondary villains included Harry Osborn/Green Goblin (Dane DeHaan) and his ally, Rhino (Paul Giamatti). However, the mixed reviews and sub-par box office performance halted any plans for continuing the reboot with Webb and Garfield. Directors Anthony and Joe Russo and Marvel head Kevin Feige were adamant about casting an actor closer to the age of Parker in the comics, and Holland had great chemistry testing with Robert Downey (Tony Stark/Iron Man) and Chris Evans (Steve Rogers/Captain America). The guest appearance as Stark’s unconventional recruit (to help take down renegade Cap) introduced a more grounded, naturalistic Spidey, and donning a more traditional Spider-Man suit. At the same time, Parker was conflicted about joining the Avengers. The Sony/Marvel co-production reworks Parker as a high school sophomore in the new reboot directed by Jon Watts (“Cop Car”). Parker is overzealous and screws up constantly as he juggles his schizophrenic life as student and crime fighter. This often flummoxes Downey’s Tony Stark/Iron Man, who tries to mentor him. For his part, the 21-year old Holland (“Billy Elliot: The Musical”) takes full advantage of his athletic dancing and gymnastic skills for the awkward web-slinging. Meanwhile, Michael Keaton trades in his Birdman suit for high-tech armor as supervillain Vulture, a scavenger of alien tech and successful arms dealer. The doppelganger relationship with Parker/Spidey also plays off their working class ties.